Tonight we’re back down memory lane (or should that be memory line?) 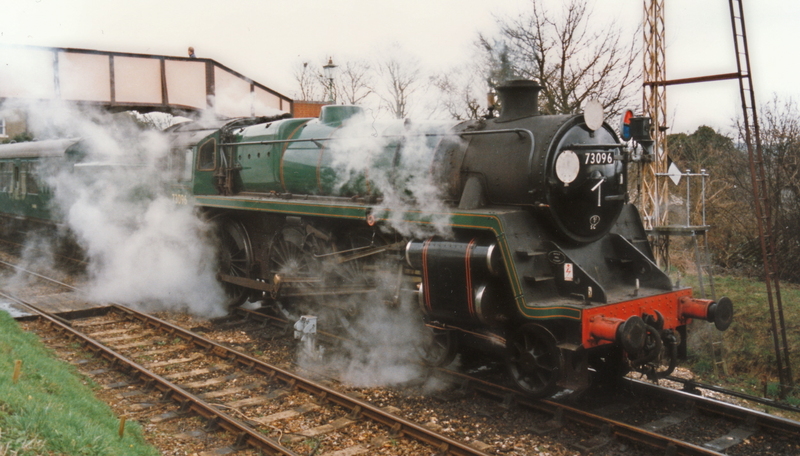 with a few recently rediscovered pictures taken on the Watercress Line in the late 1990’s. Many pictures feature former resident BR Standard 5MT 73096, whilst Urie S15 class 30506 is seen in front of what is now the carriage and visiting 46229 Duchess of Hamilton. Enjoy!